HomeChildren's MinistryWhat's Your God Idea? 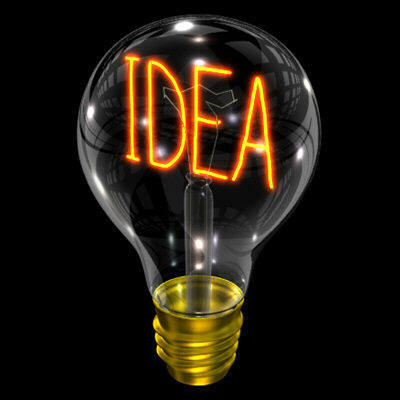 What God idea are you working on for 2010? As a children’s pastor it can be very easy to fall into a routine. We can easily get caught up in the day to day activities of running an efficient and effective ministry. However, I don’t know about you, but I get bored very easy. I’m not the greatest at maintaining. I’m always striving for something new or how to improve or how to make a greater impact in our city or sphere of influence, etc. So, every year I reflect on the past and pray and think about the future. At the end of the year I always write down a God idea. This is something that is impossible to accomplish. It’s way bigger than my own abilities. It’s bigger than my connections. In fact, the odds of it actually happening are not in my favor. Why do I tease myself with wanting to accomplish this type of idea? It’s because I know it’s God and I know that I have to depend on Him 100% of the time. We all have gifts and abilities. We all have friends we can call on for a favor. I totally believe that God wants us to exploit these means to make the biggest impact we can for His kingdom. However, I want to accomplish that God idea this year that forces my faith to increase, that has me praying more than I every have and that causes me to grow closer to God in the process. I have one written out. Trust me—I need God! My question for you is what’s your God idea? What has God placed in your heart that is impossible for you to do on your own? If you don’t have one, I encourage you to dream bigger! Napkin is right around the corner! Register today!